Hello Milwaukee Region members. 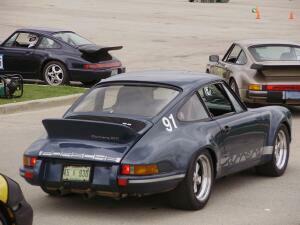 Welcome to Steinlifters Online, the monthly newsletter of the Milwaukee Region – Porsche Club of America. In this issue you will find information about the nominees for your board of directors, the results of the Oct. 11 autocross and the Oct. 26 concours d’elegance, and a reminder about the sign-up deadline for the Dec. 6 Holiday Party. We also welcome new and transferred members, and more. Shift into second gear and read on. David Kirk -- 1988 911. David tells his story here about acquiring his first 911. Richard Appleby and his wife, Denise – 2003 911. Richard and Denise were among the members who enjoyed the short tour through the Kettle Moraine and breakfast at the Delafield Hotel in early October. Congratulations to these members who are celebrating a November anniversary. Open to all members. Our regular monthly board meetings are open to all members. The meeting is held in the friendly confines of Brew City, in Mequon. Join the board for the meeting; add your thoughts to the discussions. Casual conversations normally continue after the meeting over a beverage or snack. The next meeting is Nov. 6, starting at 6:30 p.m. Brew City is on Hwy 57 between County Line Road and Donges Bay Road in Mequon. This annual evening is a relaxing time to get together with new and old friends in a beautiful setting. This year we return to Bristlecone Pines Country Club in Hartland, the scene of the 2007 holiday party, which occurred on the first major snowstorm in the area. A few hearty members made it through the freezing rain turning to snow conditions last year and can attest to the outstanding atmosphere, food preparation and wine selections at this location. Don’t delay. Reservations must be in by Nov. 14. All details, including a downloadable RSVP, which you must complete and mail with your check by Nov. 14, are available here. We have four members who have agreed to run for a board position to serve a two-year term. Every year, half (four) of the board members rotate off the board, thus allowing new ideas and leadership to be part of the group that sets the direction for our region. Read the biographies of the four nominees here. Cast your vote to accept this slate of candidates and elect them to serve as your representatives by sending an e-mail to Don Kiepert, uber914@wi.rr.com, chair of the nominating committee before Nov. 30. The new board will elect officers for the coming year at the December 2008 board meeting. The final autocross hosted by Milwaukee Region and organized by Autocross Chair Bruce Tammi was on Saturday, Oct. 11, in the east parking lot of Miller Park. This date was a make-up date on the calendar as we got bumped by Major League Baseball because of the need to use Miller Park for the Cubs vs. Astros game due to the hurricane damage in Texas. The Brewers offered us this date as a make-up date and Bruce got the word out. Here are the results of that event. The sun held out long enough on Sunday, Oct. 26, to attract 16 Porsches and their drivers to enter the last concours d’elegance of the season and more than that number in the spectator gallery. 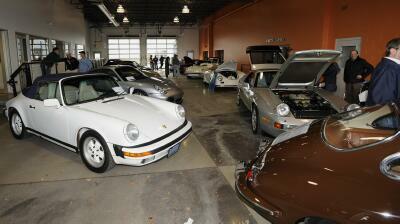 Concours chair Jay Kapellusch organized the event at the International Auto store in Waukesha. Though the Porsche showroom and service bay were still under construction, Porsche new car sales manager George Christ graciously opened the Mercedes service check in area for our event. The list of winners and a photo album are online. On your next visit to International Autos for service, parts or a new car, thank George and the dealership for their hospitality and sponsorship. Results and photos are online here. Be sure to check out the region’s goodie store for merchandise bearing our region logo. These items will make terrific gifts for the upcoming holiday season. If you have your eye on something in this store, be sure to drop large hints to the Santa in your household or circle of friends. Your purchase helps boost our region’s finances. You will find the goodie store here. 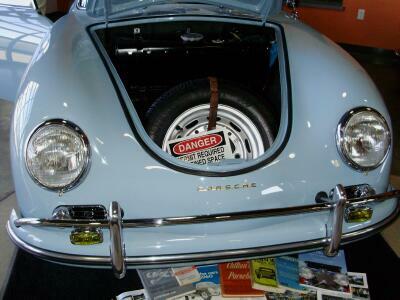 Classifieds are a great way to buy or sell Porsche and Porsche-related items. This is a free service to members. Just a few new posts were added in October and one in November thus far, a sure sign that our driving season is coming to an end. Check out the listings here. The turbo-charged Social Committee is planning a variety of new, casual events to compliment some of the region’s traditional favorites such as the mid-winter classic Turbo Spaghetti/Carrera Chili and the annual holiday party. Details about new events will be announced on the region Web site as they become available. If you're planning a vacation in Siberia or other remote locations, you will want to read about Porsche’s new Cayenne S Transsyberia. Details can be found here. Read a comprehensive history of Porsche and the cars we love to own and drive. Learn about the inspiration behind the very first Porsche, factory production numbers for every year since the first Porsche was built, racing success and more. If it's about Porsche, it's in this report. Porsche reports that U.S. sales in October continue to reflect 'challenging environment.' Details here. It takes a whole lot of people to execute a successful Parade experience for the hundreds of guests who attend the annual Porsche Club of America Parade. Many in Milwaukee Region know first hand what it takes to deliver a successful Parade as we hosted this annual gathering of PCA members from across North America in 2001. Not sure what Parade is all about? Visit the PCA Web site at this link. The 2010 Parade will be July 3 –8, 2010, at the Pheasant Run Resort in nearby St. Charles, Ill. A complete description of all of the jobs necessary to make Parade a success is available online. Check this out and see if your skills and experiences match the needs of PCA. If they do, let Zone 13 Rep Chris Inglot know of your interest. You can reach Chris at cinlgot@aol.com. Job descriptions here. Changing seals? Installing a new fan motor? Adding bigger brakes? We continue to hear stories about the ongoing restoration in New Orleans, more than three years after the devastation caused by hurricane Katrina. Thanks to the Internet, this blogger writes about things he sees while riding his bike through New Orleans. He snapped a picture of a house that is apparently abandoned. 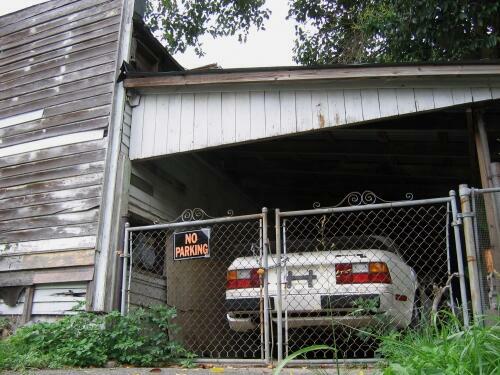 He reports that there is a similar 944 parked in front of this one in the same garage. It has been standing like this for years. We hope the owner returns soon to claim these water-cooled gems.